Cookie decorating station – this can be made themed for an upcoming holiday and someone can prebake the cookie bases ahead of time. For Valentine’s Day, perhaps some heart cookies with white, pink, and red royal icing and fun sprinkles? DIY mini t-shirt decorating – this one will take a bit more planning, but if someone orders a bunch of plain doll tees (e.g. from Cool Cat), shirts could be decorated with embroidery, fabric markers, iron-ons (printed from a printer or store-bought), or little patches. Button making – this one requires someone having a button maker, but everyone could draw out their own button design (perhaps a pull ring or an eye chip?) and then pin in to their doll bag! 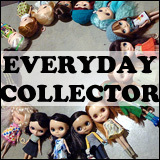 Scrapbooking – A great way to use all those photos of Blythes we’re always taking! It is surprisingly not that expensive to get photos printed these days, and a lot of scrapbooking supplies can be found at dollar stores or big box craft stores. Just make sure that you get acid-free papers and glues to prevent damaging the photos. Tutu making station – I’m a huge fan of tutus and I even shared a tutorial here on BlytheLife on how to make an easy tutu! A roll of tulle can be fairly inexpensive (it can be found in floral shops as well as fabric/craft stores), and it’s an easy tutorial that most anyone of any level of crafty ability can do. Furniture painting/decorating – It sounds like a lot of work, but I’ve found that a lot of dollar stores and big box craft stores will carry 1:6 or 1:12 sized furniture (usually wooden) for fairly low prices. With a few bottles of acrylic paint and maybe some sand paper, your group could make some cute and one of a kind pieces in afternoon! Do a present exchange – this is not limited to the month of December! Set a reasonable limit (say $10-15), have people bring in wrapped gifts for Valentine’s, spring, Easter, summer, Halloween or just because. It’s fun to receive presents, but it’s even more fun to give! Make it doubly fun by making people do silly tasks to earn their presents (e.g. 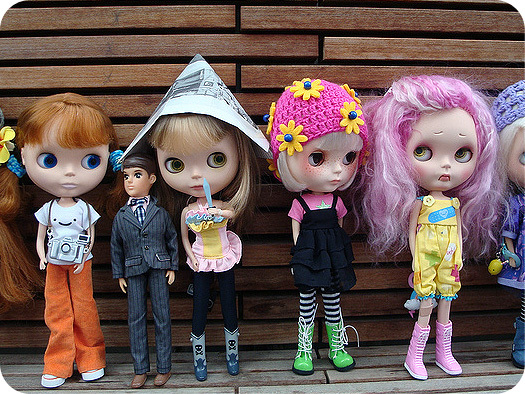 “bobbing” for gifts, or answering Blythe trivia questions!). Host a sew-a-long – find a simple (free?) pattern online, and have everyone bring in some fabric or supply it to them. You’ll need needles and thread, along with scissors and pins. 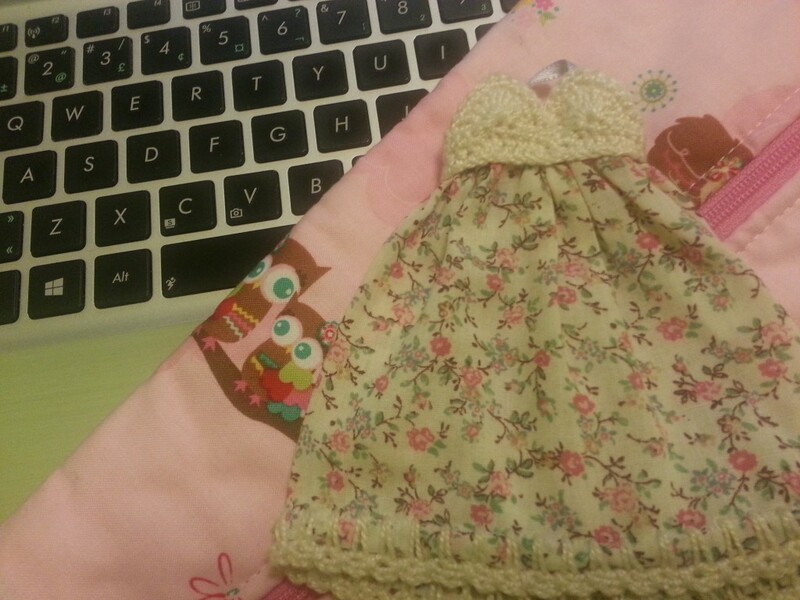 Try one of the projects on BlytheLife, like the trimmed skirt or felt slippers. 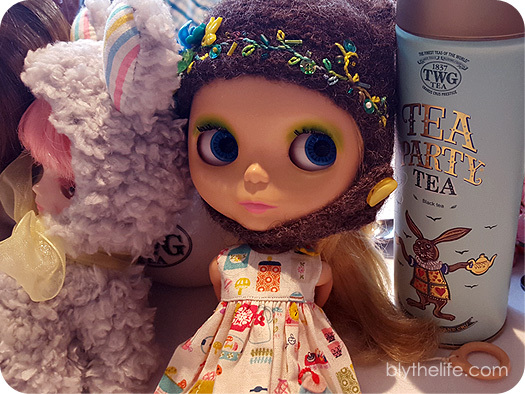 Have a tea party – this for me personally combines my love of tea and love of dolls (and friends). My local group and I have done afternoon tea at some tea houses and it has always been a lot of fun, but it isn’t cheap! Do it yourself at home with your friends, get everyone to bring in a light snack to share (some examples would include: mini cupcakes, chocolates, sandwiches, scones) and get your tea steeping! Organize a swap meet – have everyone bring their gently used, but unwanted, clothes and shoes. Sell, trade, give away – and have everyone go home with something new-to-them. The easiest way to find joy in having something new without breaking the bank! I hope these ideas come in handy when you plan your next Blythe meet! If you have any suggestions, share them below in the comments! One thing that I get asked occasionally is “How do I find local Blythe people?” and that can be a tricky answer. If you do what I did, it’s an expensive adventure. I attended BlytheCon Portland in 2011 not knowing a single soul in the Blythe community (besides friends made online) and I lucked out. I found people who are local to me and it’s been an amazing ride so far with my local Blythe group. We have meets, we have swaps, we have an annual Christmas party. It is an amazing group of people and I couldn’t be happier to be organizing Canada’s first BlytheCon with a trio of awesome people (BlytheCon Vancouver! Yay!). Ask if someone is a Blythe fan in a major metropolitan centre close to you, or in the general around around you, rather than stating your own town/city if it isn’t a big area. If meeting up with someone, meet in a public place that is well-lit where people will be (e.g. mall, public library). Safety in numbers! Bring a friend (or someone you know) with you. 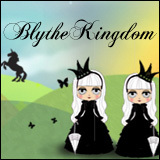 Two birds with one stone – meeting new people and introducing people to Blythe all at the same time. Always remember that your personal safety is number one. As lovely as people can appear online, someone could state that they are a young teenaged doll hobbyist and really be a middle-aged man with ill intentions. Keep yourself safe and have fun! There are many wonderful people in the Blythe community and if you’re lucky, you’ll find someone nearby to hang out with and have some meets with. What actually happens is usually something different. I bring the dolls that had a wardrobe change most recently, which may or may not be a doll that I took to the last meet, who may or may not be a doll that someone is interested in. Oh, and if I manage to actually put shoes onto a doll, I consider that to be a major win. And I never, ever remember to bring stands. The day I remember to bring stands, you’ll know I had way too much time to prepare for a meet that I a) actually remembered stands and b) actually packed stands in with the dolls. The girls tend to travel in their carrier bags. I have a few at this point, plus a Middie-sized one for Kitty Brighton (no Petite-sized bags yet though!). Some dolls have their own bag (Sophie and Eden Mouse) with I have two others that are more for general use amongst the girls. Unlike Sophie and Eden, they don’t mind sharing (often). The carrier bags are great as it helps keep them more ‘contained’ within my bag, and the shoes can’t go flying off their feet, as they are likely to do. 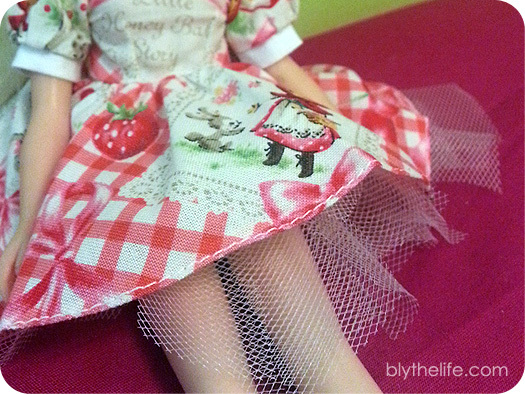 I try to dress my dolls in meet-appropriate outfits, especially if the meets themselves have a ‘theme’ to go on. 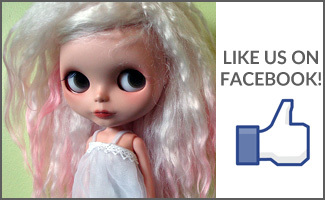 For instance, I will be attending tea with my dolls and some lovely local doll hobbyists this weekend. So my dolls will dress accordingly to fit in with the overarching theme that is high tea. I may even put shoes on them (but that hasn’t been confirmed just yet…). Hopefully it won’t be until Sunday morning that I decide to pick who’s going to the meet though, because that would just be awful (and I’ll just end up grabbing whoever’s dressed! ).